Looking for ways to connect on campus with other graduate/professional students? Need help navigating campus? Check out these resources. Campus Area Bus Service (CABS) A free transit service provided by The Ohio State University Transportation and Traffic Management. Busses travel on and around Ohio State’s campus. Make sure to check out OSU TTM website for other modes of transportation. Dennis Learning Center (DLC) The DLC offers academic coaching, learning and motivation strategies and many workshops covering topics such as managing academic stress, note taking and preparing papers. 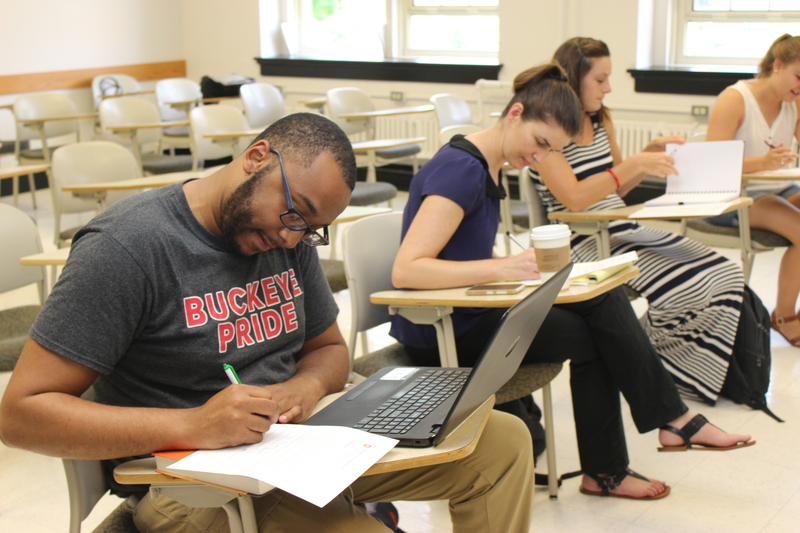 Off-Campus and Commuter Student Services OCCSS offers services to help students find housing and roommates, learn about safe practices in the off-campus area and become responsible neighbors in the Buckeye community. Ohio Union Activities Board (OUAB) Graduate/Professional OUAB Grad/Prof is run by a committee of current graduate and professional students who work to design programming that enhances the graduate and professional student experience. The programs include personal enrichment, professional growth, social engagement, special events and family-friendly activities. OSU Research Commons The research commons are a place where researchers connect, collaborate and support each other. Workshops and consultations can provide researchers with assistance through planning, conducting, publishing and increasing impact.